Summer is just around the corner, so it’s time to make sure you’ll be staying cool through the hot summer months. Whether you run a shop or shopping centre or are responsible for employees in the office, maintaining a comfortable temperature isn’t just comfortable; it’s also important. Climate control is important, no matter the season. However, it’s especially important during the summer and in buildings like offices and shopping centres. When your office reaches a comfortable temperature, productivity can soar. On the other hand, an office that’s too hot can discourage productivity. Employees will find themselves leaving their desks, standing near open windows, or they might simply be distracted by the uncomfortable climate. Making sure your office is the right temperature for employees will save them time, which will save you money. On a hot day in Australia, it’s unlikely anyone on the street wants to walk into a shopping centre that’s hot and humid. A well-maintained air conditioning system can be a huge selling point for customers, especially during the stifling summer months. Choosing a store with proper climate control provides an escape from the heat, which will help you make more sales this summer. If you work in an office, the same principle applies to your clients. You won’t make a good impression with offices that are uncomfortably warm. Give your clients a comfortable office tour with an air conditioning system that’ll keep them cool. Keeping cool during the warm summer months is good for the body and the mind. A body that’s not too hot will feel energised and strong and overheating can cause dizziness and fatigue. The same applies to your mind. Keep employees feeling sharp with climate controlled offices. Maintaining your air conditioning system isn’t just about keeping it functional. It’ll also extend the life of your air conditioner and save energy. The biggest benefit to keeping your air conditioning system well-maintained is that it’ll help your system last longer. Because air conditioners pull warm air in and push cool air out, it filters dust and debris from the air. Regular air conditioning maintenance will ensure that filters are cleaned or replaced and that your air conditioner is circulating clean air into your building. A clean air conditioner can last years longer than a neglected one, which will save you money in the long run. Another benefit of air conditioner maintenance is that it’ll increase the efficiency of your system. Air conditioning experts can catch holes or leaks that prevent your system from running smoothly, and a thorough clean will also make sure that it’s running at its best. When your air conditioning system is serviced regularly, the system specialist can catch small problems before they become big problems. Large air conditioning repairs in Sydney and around Australia will cost more as the problem escalates, so it’s best to catch any issues early, and that’s why a routine maintenance check is crucial. Maintaining your air conditioner isn’t as easy as swapping out an air filter. Heating and cooling system maintenance is specialised work, so it should be left to the specialists. Apex experts will check for any leaks or breaks, measure airflow, and check motors to make sure your system is running as efficiently as possible. A DIY approach to maintenance is not recommended, as it can cause bigger problems if done incorrectly. 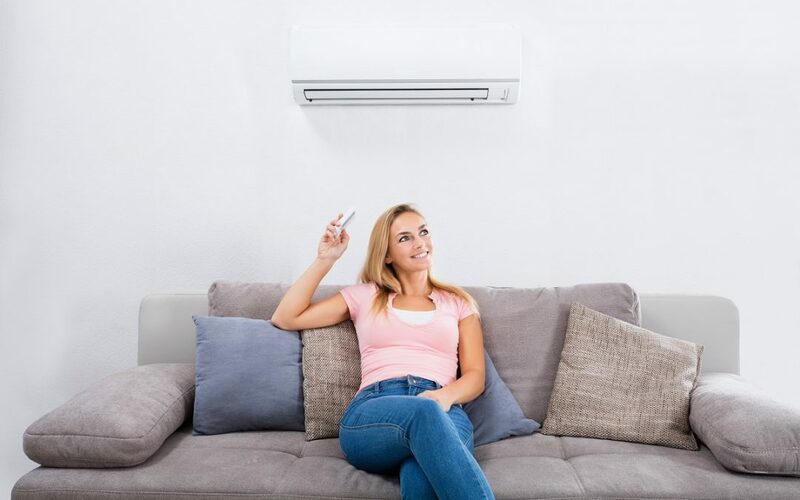 If your do-it-yourself maintenance took a turn for the worst, it’s best to leave your system as it is and turn to air conditioning repairs in Sydney or your city of choice. If you’re ready to get your office or shopping centre summer-ready, then it’s time to turn to the best. Apex Airconditioning can help you with all your cooling needs this summer. If you’re looking to have a system installed, Apex Airconditioning offers a free initial assessment and offer personalised solutions for your business. We also repair and maintain all types of air conditioning systems, so if you need air conditioning repairs in Sydney or around Australia, we’re here to help. Apex Airconditioning is the leading commercial air conditioning specialists in Sydney. Contact us for all your air conditioning needs.